London, May 18 (IANS) Your brain processes more ideas and feelings when you are meditating than when it is just resting, a fascinating research has found. Also, letting your mind wander is more effective than concentrating on emptying your head of thoughts, scientists said. “Meditation is more than just a way to lower stress,” said researchers from St Olavs Hospital in Trondheim, Norway. There are countless techniques such as Zen, Buddhist and transcendental meditation. These techniques can be divided into two main groups – ‘concentrative’ meditation where the person focuses on breathing and ‘nondirective’ which allows the mind to wander as it pleases. The participants had experience with a ‘nondirective’ form of meditation practiced in Norway called ‘Acem’. Experts used MRI scanners to look at brain activity during meditations. 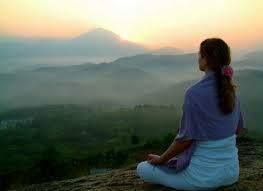 They found that the brain processes more thoughts and feelings during meditation than when people are simply relaxing. The study indicates ‘nondirective’ meditation allows for more room to process memories and emotions than during concentrated meditation, said professor Svend Davanger from University of Oslo. This area of the brain has its highest activity when we rest. “It is remarkable that a mental task like nondirective meditation results in even higher activity in this network than regular rest,” he added. The findings were published in the journal Frontiers in Human Neuroscience.